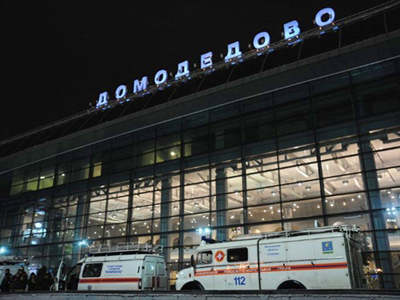 Following the deadly attack at Moscow’s Domodedovo Airport, Russian President Dmitry ordered the punishment of officials in charge of transport security and urged to introduce tougher, “total”, control at airports. The president has attended the Federal Security Service (FSB) board session, where traditionally results of the previous year are summed up and tasks for the current year are set. Tuesday’s meeting comes just a day after the blast at one of the capital’s airports, which killed 35 people and injured over 150, and that topic, as well as countering terrorism in general, topped the agenda. In his opening speech at the board session, Medvedev said that Russia’s society has been yet again given a “very cruel” challenge. Addressing the meeting, which was attended by heads of all Russian law enforcement agencies, he said everything should be done to trace the bandits who committed the crime at the airport and bring them to justice. “The bandits’ nests – whatever they are called – should be eliminated,” he said, adding that those terrorists, who will resist, should be “dealt shortly with” and exterminated on-sight. Medvedev observed that Russian law enforcement agencies do have experience of such operations and now it is time to act. “…I would like to underline yet another time that terrorism remains the main threat to the security of our state and all our citizens. In 2010, the number of terrorist attacks increased. It is a very serious signal for the FSB and the National Anti-terrorist Committee,” Medvedev said. He called on Russia’s security agencies to use all the opportunities and forces they have to counter “this evil” and prevent such crimes in the future. Medvedev has also given instructions to the state bodies to sort out the issue of responsibility of officials in charge of transport security and punish those who did not do their jobs properly. "What happened on Monday [at the airport] reveals that the level of work or transport security agencies is insufficient and unacceptable,” Medvedev said speaking at the board session on Tuesday. The president instructed Interior Minister Rashid Nurgaliyev, along with the government, to come up with suggestions on dismissals or any other punitive measures against public servants who are in charge of providing security on transport. “The FSB leadership also should look into the issue of officials’ responsibility. 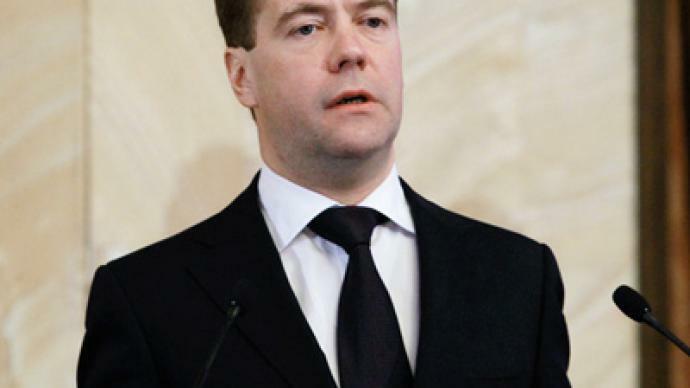 I instruct the director of the FSB to submit relevant proposals,” Medvedev said. The Investigative Committee (SK) and the Prosecutor General’s Office should decide if criminal cases should be launched against state officials who failed to provide all necessary measures for people’s security. 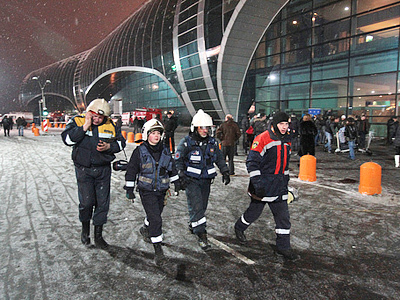 Following the airport tragedy, Medvedev said the government should develop a system of “total” control of passengers and their luggage. “We will have to introduce a far stricter system of control, total control. Perhaps, it would be more time-consuming for passengers, but that is the only solution,” the president said. The country’s leader slammed Domodedovo Airport’s security, saying that there was complete “anarchy” there and people could enter the building from anywhere. The control over people’s movements – especially of those who came to meet passengers – almost did not exist. Medvedev recalled that just several years ago, in 2004, terrorists made their way through Domodedovo Airport on to two planes and brought both of them down, killing dozens. In December last year, the freezing rain resulted in power cuts at the airport and thousands of passengers were stranded there for days waiting for their flights. The chain of events that took place at the same facility reveals “critical” shortcomings in the work of the airport. 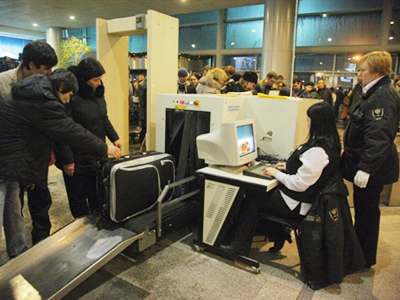 Considering the number of passengers that go through Domodedovo, Russia’s largest airport, it should have created all the necessary conditions for passenger control and checks. Now, Medvedev said, it should be examined whether that was done or not, instead of putting all the blame on the police. The president called on security agencies to ensure safety of the upcoming elections in the country, Asia-Pacific Economic Co-operation (APEC) forum to be held in Vladivostok in 2012, as well as the 2013 Summer Universiade in Kazan and the Sochi Olympics in 2014. Medvedev warned that not only are the participants of these big events preparing for them, but also criminals and terrorists, therefore “maximum attention” should be paid to the anti-terrorist protection. Summing up the results of 2010, the president said that the majority of threats to Russian security still remain in place and admitted that such problems as terrorism and extremism are long-lasting and cannot disappear in one year. However, maximally active work should continue to prevent those crimes. Special attention should be paid to work with the young, who often get caught in criminal nets simply because of lack of life experience or when finding themselves in difficult situations. “It is necessary to prevent incitement of national and religious hatred, as well as propaganda of xenophobia and violence. You and I understand that it is nothing but undermining the foundations of our multi-national state,” he said. “And, along with terrorism, it is a fundamental threat to the existence of our country.” The law enforcement agencies’ task, Medvedev said, is to “neutralize” such provocations. Medvedev also stressed that the Russian military counterintelligence service should maintain a high level of combat readiness amid the ongoing reforms of the Armed Forces. He also noted that the interest of foreign special services to classified military and economic data remains unchanged, but now the most up-to-date technology is used to obtain it. 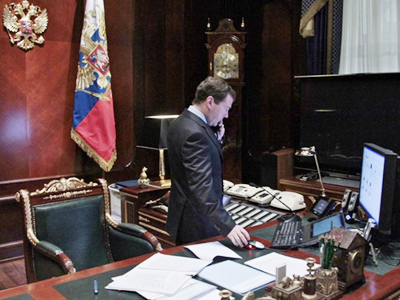 “The protection of state secrets remains among tasks of key importance,” Medvedev stressed. Russia’s economic security was also named among priority tasks. And that includes a number of directions for work, including fighting corruption, illegal business and smuggling, as well as tracing and suppressing organized crime groups. After attending the FSB board meeting, President Medvedev – along with the Mayor of Moscow and the Health Minister – visited one of hospitals where those injured by the blast at Domodedovo Airport are receiving medical treatment.